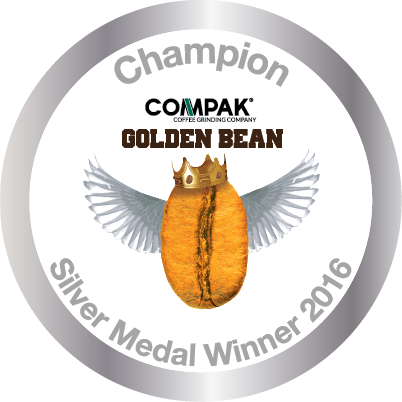 Crimson Cup Coffee & Tea took the Overall Runner Up prize as well as silver and bronze medals at the second annual Compak Golden Bean North America roasting contest. The Columbus, Ohio roaster medaled in all three of the categories it entered. We’re proud that Crimson Cup coffee continues to be judged among the best in North America by our roasting peers. 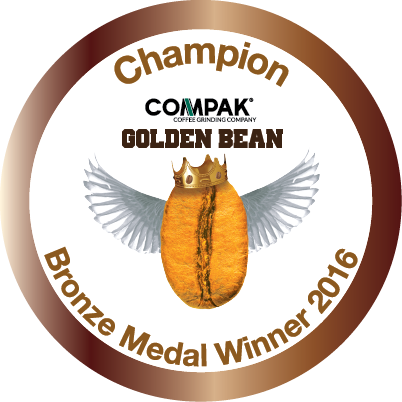 Columbus coffee roaster Crimson Cup Coffee & Tea was a winner at the second annual Compak Golden Bean North America roasting contest. Competing in a field of 700 entries from 244 North American roasters, Crimson Cup won Overall Runner Up honors as well as silver or bronze medals in all three categories it entered. The contest took place Sept. 14 through 17 at Castaway Portland, Oregon. “We’re proud that Crimson Cup coffee continues to be judged among the best in North America by our roasting peers,” said Founder and President Greg Ubert. The company was named 2016 Macro Roaster of the Year by Roast magazine. Its Wayfarer Blend was the runner up in the America’s Best Espresso Eastern Championship at Coffee Fest New York. Crimson Cup was the runner up for Overall Champion, which was decided by combining the highest score in the Espresso and Milk categories. According to the contest organizers, this showcases the roaster’s skill in changing profiles for different brew methods. Wayfarer, which means traveler, is blended from a rotating selection of current-crop coffees. The blend currently has Heirloom and Bourbon varietals cultivated at elevations of 1,700 to 2,000 meters. Lightly roasted, Wayfarer Blend melds the syrupy, rich and smooth notes of tree nuts and chocolate with bright accents of exotic fruits. In 2015, Wayfarer Blend received an outstanding 92 rating from Kenneth Davids and the Coffee Review. Reviewers described the handcrafted blend as, “… a quietly comprehensive cup, with crisp nut and cacao notes and a softening bloom of sweet flowers.” The complete September 2015 review is available on the Coffee Review website. Directly traded through Crimson Cup’s Friend2Farmer program, Ethiopian Kossa Kebena grows in Western Ethiopia’s Limmu Kossa District, in the highlands of the Kebena forest. The Coffee Review described Ethiopian Kossa Kebena as, “a fruit-driven, harmoniously balanced Ethiopia natural,” awarding an outstanding 93 rating. The complete September 2016 review is available on the Coffee Review website. “Sales of this coffee support long-term economic sustainability for this farmer and his employees and protection of the endangered Kebena Forest,” Ubert said.